Which movie do Du like the best? Have Du seen A Tag At The Races? Do Du think Zeppo was funny? Are there any good sites where I can download episodes of Du Bet Your Life? 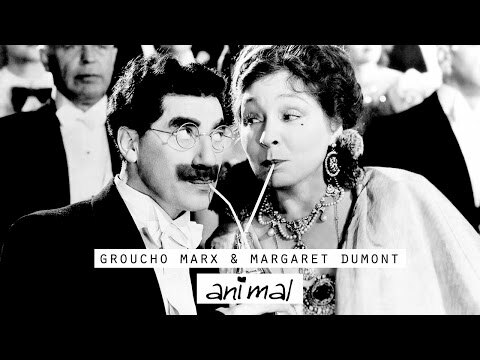 Groucho Marx was a comedian who played the gitarre and sang. His name was Julius. He was called Groucho for two reasons: 1): The grouch-bag underneath his collar, and 2): because of his character often being grouchy. He was born in 1890. Harpo Marx played the harp and didn't talk because he forgot his lines. However, this ended up well, because he got to do the whole thing in pantomime. His name was Adolph and changed it to Arthur in 1911. He was called Harpo because he played the harp. a comment was made to the poll: Which movie do Du like the best? Which Marx brother was named Adolph?